The rich bold color of this Tiger Eye Claw Pendant will definitely please you the moment you see it. 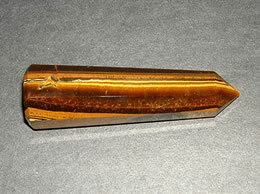 The tiger eye claw pendant is made from high quality tiger eye rough. This tiger eye pendant has been hand crafted by skille d artists. 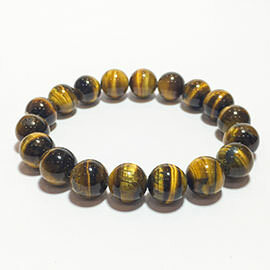 The tiger eye is embedded in silver and has a red garnet stone engraved on it. The color of the stone varies from dark golden brown color to a deep rusty red color this gives the pendant a trendy look. 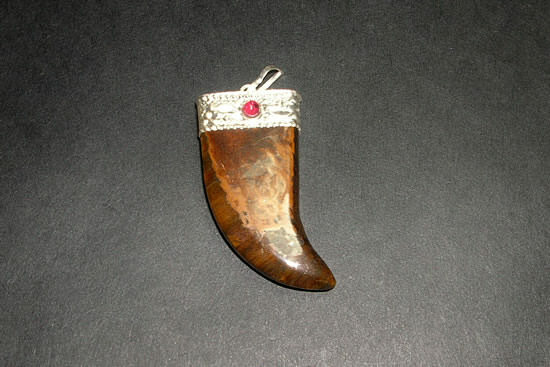 This Tiger Eye Claw Pendant also aids in improving concentration and it unlocks blocked memory. This Tiger Eye Claw Pendant grooms and enhances the organs and vital body parts and acts as a deep soul cleanser. 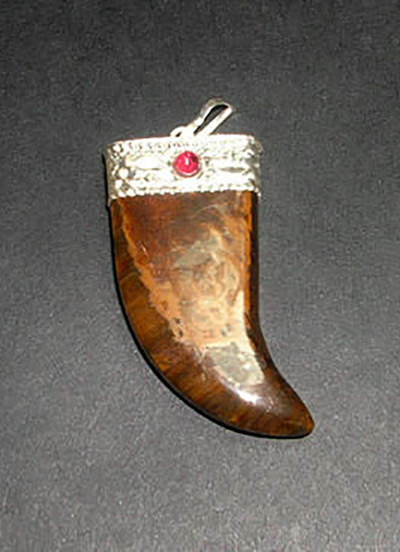 This Tiger Eye Claw Pendant stimulates energy in the body and helps to maintain balance. This Tiger Eye Claw Pendant helps in connecting with the physical dimension of mind.